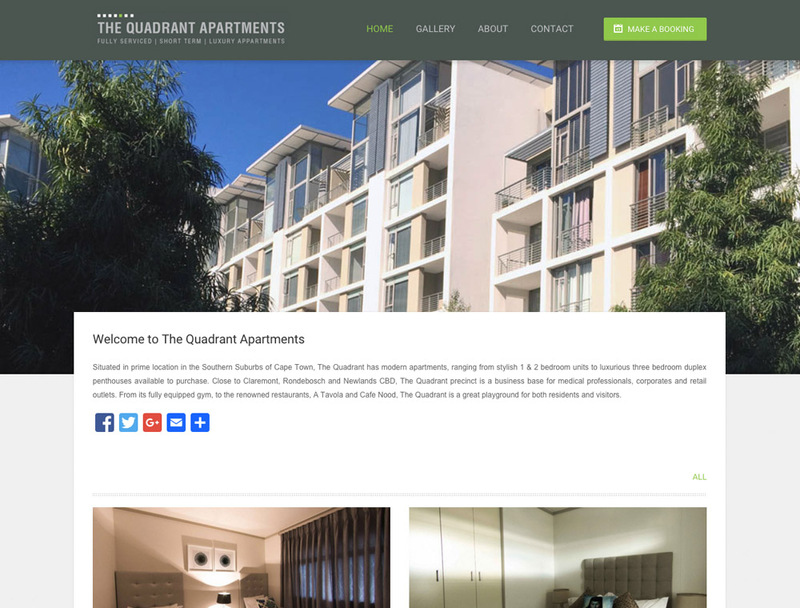 The Quadrant has modern apartments, ranging from stylish 1 & 2 bedroom units to luxurious three bedroom duplex penthouses available to purchase. Close to Claremont, Rondebosch and Newlands CBD, The Quadrant precinct is a business base for medical professionals, corporates and retail outlets. From its fully equipped gym, to the renowned restaurants, A Tavola and Cafe Nood, The Quadrant is a great playground for both residents and visitors.